Augustine is a central figure in Western thought, one of the architects of the Christian faith as it emerged from the East in the 5th Century. He was a scholar, theologian, pastor and teacher. Augustine was born in 354 in Algeria. His mother, Monica, was a devout Christian and his father Patricius was a Pagan who converted to Christianity on his deathbed. At the age of 11, Augustine was sent to school at Madaurus where he became familiar with Latin literature as well as pagan beliefs and practices. From an early age he recognised his nature was flawed. 'It was foul, and I loved it. I loved my own error—not that for which I erred, but the error itself." At the age of 17 Augustine went to Carthage to continue his education. 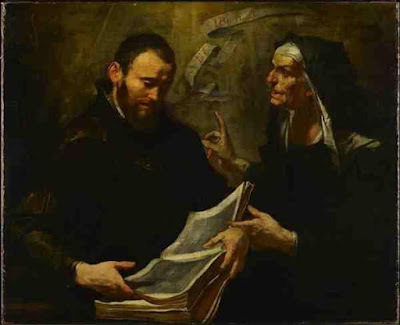 Although raised as a Christian, Augustine left the church to follow the Manichaean religion, much to his mother's despair. At about the age of 19, Augustine began an affair with a young woman in Carthage. Though his mother wanted him to marry a person of his class, the woman remained his lover for over fifteen years and gave birth to his son. In 385, Augustine ended his relationship with his lover in order to prepare himself to marry a ten year old heiress (he was to marry her when she reached the legal age of twelve years old). Augustine eventually broke off his engagement to his eleven-year-old fiancée, but never renewed his relationship with either of his lovers. In the summer of 386, at the age of 31, Augustine converted to Christianity. 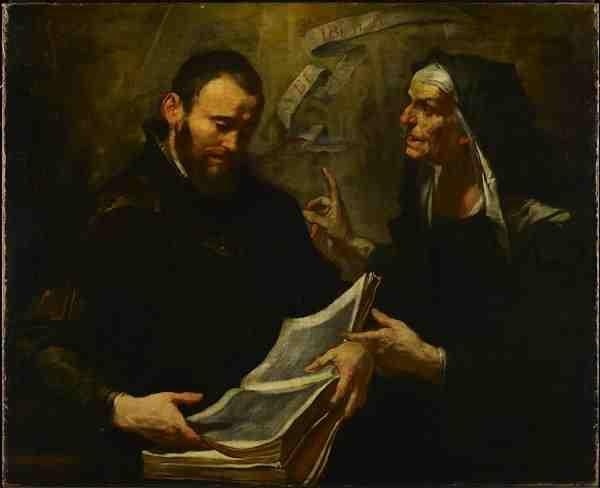 As Augustine later told it, his conversion was prompted by a childlike voice he heard telling him to "take up and read" which he took as a divine command to open the Bible and read. In 391 Augustine was ordained a priest in Algeria. In 395 he was made Bishop of Hippo and he continued in that role until his death in 430.